Being self-employed is the American dream for many, as you have the chance to run your own business and take charge of your own success. Unfortunately, being self-employed could also cost you the chance at another American dream: owning your own home. Buying a home helps you to build wealth and set down roots. Through home ownership, your money grows as you build equity and as property values appreciate. However, because of the high costs associated with purchasing a property, most people need a mortgage loan in order to become a homeowner. This can be a big problem for those who own a business because many mortgage lenders are reluctant to provide a mortgage loan to someone who does not have a traditional source of income. Persons are who are self-employed have a difficult time ‘proving’ their income. With a growing gig economy more are faced with this challenge. Our unique methodologies meet the unique needs of the self-employed. The good news is, owning your own business does not have to mean that you are shut out of the home ownership market. In fact, you can work with A&D Mortgage to easily qualify for a loan with a good rate and competitive terms, provided you meet a few basic requirements. Qualifying is much simpler than for would-be home buyers seeking traditional mortgage financing and our lending professionals are skilled at finding the right solutions for self-employed home buyers. Self-employed professionals face myriad challenges when trying to qualify for a traditional mortgage loan. Most lenders want to see W2s from employers for several years that provide solid proof of income. When they accept income from self-employment as a source of income, traditional lenders have strict requirements limiting the amount of income that they consider in determining a borrower’s debt-to-income ratio and mortgage eligibility. Conventional mortgage lenders don’t consider the intricacies of small business operations when establishing guidelines, so their requirements for qualifying for a loan fail to take into account the circumstances that small business owners face. Those who are self-employed, for example, often have variable income that changes from year-to-year or they pay themselves only a small salary because they re-invest much of their money into the business. All of this can hurt a self-employed home buyer seeking a mortgage. When a conventional lender only allows a borrower to count income that the borrower can prove he’s earned for several years in a row, this can prevent homeowners from obtaining a mortgage loan with that lender or can limit the size of the loan that the borrower can obtain. Conventional lenders also are ill-equipped to evaluate the value of business assets, which imposes yet another hurdle on well-qualified entrepreneurs who have a valuable stake in a thriving company but who may appear on paper to have few assets based on the metrics that conventional lenders use. With NonQmHomeLoans.com, small business owners do not need to worry about the fact that they cannot comply with narrow guidelines set in place by mortgage lenders that deal primarily with borrowers who earn income from more traditional sources. 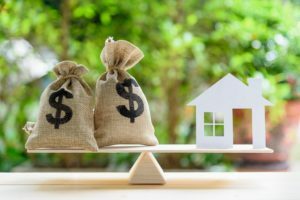 Business owners can obtain a mortgage from a lender that understands that entrepreneurs are different and that financial success doesn’t always come down to how much steady income you earn from year-to-year. A&D Mortgage has programs specifically designed to meet the needs of those who run their own companies so that these enterprising individuals who form the backbone of the American economy have the chance to make real estate investments. We do not only helps small business owners to obtain mortgage loans to purchase a primary residence, but can also lend to entrepreneurs who are interested in purchasing investment real estate and who need the financing to make this goal a reality. 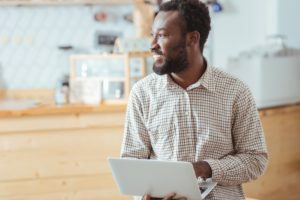 If you own your own company or earn your income through freelancing or contract work, our lenders will customize a plan to help you ensure that you can get into a home or purchase a rental to grow your wealth – even when your situation seems impossible because you have been rejected by conventional loan lenders. NonQMHomeLoans.com has very limited requirements for self-employed home buyers to qualify for a mortgage loan. Borrowers can qualify with just a profit and loss statement from their company. There is no need to provide bank statements or extensive financial records that document your business income and spending. 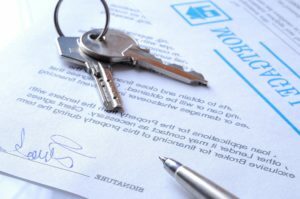 With our limited requirements regarding the information you must provide, you do not have to get bogged down in paperwork when you are simply trying to buy a home or investment property. Self-employed borrowers can also qualify even in circumstances where they do not have perfect credit, as we understand that starting your own business can often take a tole on your financial life. If you have a FICO score starting at around 500, it may be possible for you to obtain a loan through A&D Mortgage based on your profit and loss statement for your business. Bankruptcy, foreclosure, and other adverse credit events aren’t a road block either – there is no minimum time that must pass between an adverse report on your credit and approval for a mortgage through us. And, if you are taking out an investment loan to purchase an investment property rather than a private home in a residential real estate transaction, there is actually no income verification requirement at all. This makes it even easier for entrepreneurial professionals to begin building their wealth through strategic real estate investments. Another major benefit of borrowing from A&D Mortgage as a self-employed borrower is the possibility to borrow more money than many conventional lenders will provide. Mortgage lenders have a limit on the amount of debt you can have, relative to your income, and still be approved for a loan. This is called your debt-to-income ratio and it is very strict for traditional mortgage lenders. Unfortunately, many small business owners or entrepreneurs don’t have proof of reliable income that counts when determining their DTI when they try to qualify for a traditional loan. Having a lot of debt is also common due to the need to borrow to operate a business. All of this makes it difficult to borrow enough to buy a home with a typical lender when you are an entrepreneur. With A&D Mortgage, these problems are solved because we understand that having debt doesn’t mean you won’t be able to build a successful business while paying your mortgage loan. We allow a debt-to-income ratio up to 55 percent which means that it is easier for entrepreneurs to borrow the money that they need to invest or to buy a home. When you are buying a home or investing in real estate, time is often of the essence. You do not want to be left waiting months for an approval while a traditional mortgage lender spends time trying to force you to fit within their conventional guidelines that don’t apply well to those who are self-employed. You also do not want to waste time trying to apply for loans that you won’t get, or applying with lenders who will only give you a small loan because they cannot effectively evaluate your financial situation due to your self-employed status. You should work with a mortgage lender that specializes in helping self-employed individuals purchase the home of their dreams or build their investment real estate portfolio without a lot of hassle. A&D Mortgage is here to help you. Our skilled mortgage professionals can discuss your business and financial situation with you, as well as your goals for purchasing a property, and can help you to find a way to qualify for the loan program that is right for you. Mortgage loans for self-employed individuals through A&D Mortgage are not just easy for the self-employed to qualify for. Our loans also offer favorable rates and competitive terms so your home or investment properties that you purchase actually are a good investment for you. With affordable payments, reasonable interest, and a quick and streamlined approval process, your entire experience obtaining a loan will be a good one – and you’ll benefit from excellent customer service from a trusted loan servicer as you work to repay your loan. Being an entrepreneur does not mean that you have to struggle for a mortgage or give up on buying the property that you want because of the way in which you earn your income. Don’t let traditional mortgage lenders make the process of purchasing your property more difficult than it needs to be. You should reach out to A&D Mortgage today to get started on applying for your loan. You’ll be approved, closing your transaction, and getting the keys to your new property sooner than you ever imagined possible and will have an affordable loan to pay off at the end of the process. Call today to learn more.